A view from Michael Evenson’s ranch. The river in this picture is the Mattole, and the larger body of water it runs into is the Pacific Ocean. 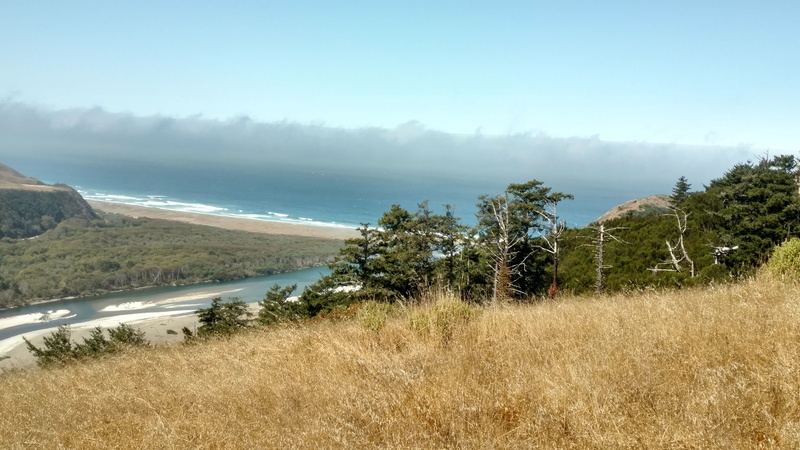 This is the third post detailing my recent introduction to qualitative field work in the Mattole watershed. Parts one and two will bring you up to speed. When I awoke on the morning of August 16, most of the human inhabitants of the A Way were still in their tents. 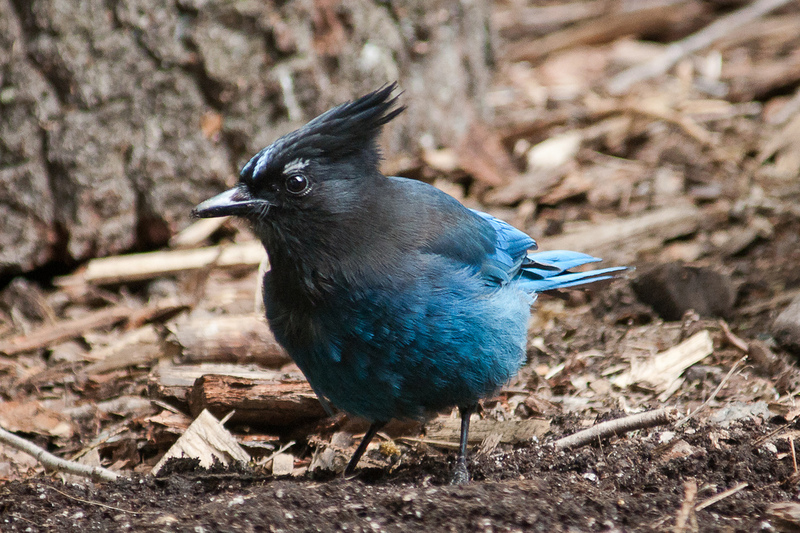 So I just laid there: listening to the enthusiastic calls of Steller’s jays (Cyanocitta stelleri), and trying to guess their antics by their noise. It was a pleasant way to experience the newly awakening world, but soon enough my cohorts began to rise. So I joined them. Breakfast was a delightful affair, despite the morning grogginess. The spirit in camp was affable; with food and utensils being shared freely. This allowed me to borrow a stove and make one of the best cups of Turkish coffee I have ever had. In fact all of the coffee I made at the A Way was spectacular. At first each sip had a sweet flavor; before developing a slightly sour aftertaste: like an exquisite dark chocolate. Try as I might, I have not been able to replicate that quality at home. Of course the point of this trip was not to drink Turkish coffee all day (although I would have liked to). So by 8:30 am my cohorts and I were on our way to meet up with rancher Michael Evenson. Upon meeting Michael near the banks of the Mattole River, my first impressions of him were favorable. He was a tall man, looking to be in his mid 40’s, with an aura of quiet confidence. Having spent the majority of my life in highly urbanized areas in the eastern United States, I initially felt self-conscious. In particular, I was nervous about unintentionally violating social norms. But Michael’s calm, welcoming demeanor quickly put me at ease. As we toured Michael’s ranch, I was impressed by how much he knew about his land. He spoke of the differences between native and European grasses, the importance of fire, how the trampling hooves of cattle might actually aid the germination of some plants, and more. Michael seemed especially keen to show us a rock ford he had put in, which is an innovative way of dealing with the large amounts of runoff that accumulate during the rainy winters. 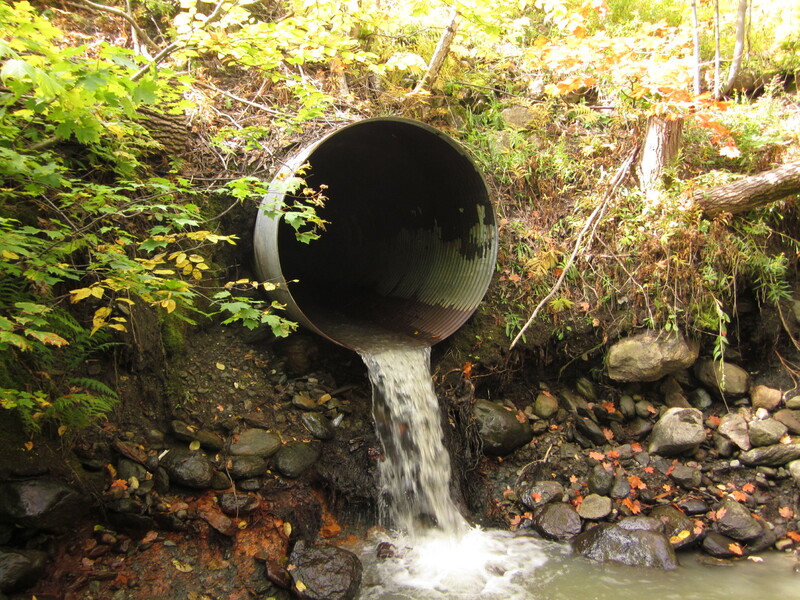 Metal culverts frequently get washed out and do a poor job of reducing the amount of sediments that flow downhill, which contributed to the decline of salmon populations in the region (House, 1999). Rock fords, by comparison, use natural materials (such as stones) to slow the velocity of running water. This helps to reduce the amount of eroded material that gets deposited into rivers and streams, and they are much harder to wash out than culverts. In addition, my notes from our time with Michael frequently center around the theme of adaptability. He spoke of the need to change with the times in regards to climate change, the importance of adapting with the resources one has, and how adaptability is the key to sustainability. It should come as no surprise then, that Michael espoused local land management strategies. Such approaches might be more amenable to changing conditions, since they will theoretically be less hampered by centralized bureaucracies. Note: the previous sentence is my own supposition. According to my notes Michael did not make this claim, and I have no hard evidence to back it up. But true to form, I spent a great deal of time being distracted by the natural world. The hilly, sun-drenched terrain of Michael’s ranch was a joy to explore. It contained a mixture of woodlands and open rangeland, and the varied topography provided excellent views. Looking down on the Mattole River from an elevated point on Michael’s ranch. Gazing out at the mountains that lie across the river from Michael’s land. Another view from Michael Evenson’s property. Following our tour of Michael’s land, my cohorts and I made our way to the banks of the Mattole. There we took our lunch, which gave me a chance to simply admire the river. We had spent a great deal of time talking about the importance of being attached to a place, but until then I had not felt it. Sitting there, listening to the gentle sounds of the softly flowing water, gave me my first chance to truly feel in touch with my new environment. Naturally this could not go on forever. After our brief lunch my cohorts and I were back on the road, heading to our next encounter. We were about to experience a remarkable forest, which I will write about in Part Four of this series. I will have it up as soon as I can! In an effort to make this post more interactive, I have a brief question for you. Have you ever had an experience where you felt truly at one with your surroundings? If so, please share a few details about it in the comments section below. I would love to read about it! Next Happy International Snow Leopard Day! The coffee was wonderful too! I have no idea why it tasted so good when I was camping. Maybe there was something in the water I was using? Yes, I have had that sensation, but it’s difficult to be specific. It can be just when I am sitting in my own modest garden, which I manage for wildlife. The sheer pleasure of just sitting on the bench sipping a (not Turkish!) coffee while watching the bees, butterflies and birds gives me a serenity totally lacking when confronting my computer screen, sadly by far the greater time-user. Thanks for sharing! Yes, it can be quite serene to just sit and observe the natural world. I’d love to be able to do that more, but ironically I’m too busy learning about issues pertaining to the natural world to spend much time with it. Heey Josh :D Que bueno leer otra nueva parte de tu viaje! Y si, sentí esa sensación muchas veces, tuve esa suerte. Cuando era más chica mi papá nos llevaba a toda la familia a acampar al sur del país, en vacaciones, a unos lugares increíbles, todo lago y montañas. Y estaba ahí y me sentía en paz, tranquila y conectada con todo, sentía que ese era mi lugar. Me encantaría visitar Patagonia! Y cuando hablas de las cataratas, estás refiriendote a Iguazú National Park? Es también un lugar hermoso, aunque entiendo que los jaguares que viven allí son muy amenazados. He oído que el Bosque Atlántico es muy fragmentado. Espero que el proyecto tendré éxito! Sabes por qué los yaguaretes se matan cuándo cruzan las áreas abiertas? Está relacionado con la depredación de ganado? Sí, eso y la gente piensa que los va a atacar, o que va a destruir sus cultivos también. Es una mezcla de cosas, tampoco están muy informados y la idea es concientizar a la gente! Ah sí, normalmente es una mezcla de cosas, aunque exactamente cual cosas varian entre los casos. Pero las preocupaciones sobre la seguridad de ganados y gente aparece ser común. Un placer Josh :) Un beso grande! Finally got around to reading the series! Beautifully written. Specially this one. I remember this one time when I went for a walk (a bit later than I usually do). So, I at about 9:30pm, I am sitting in the park, quietly so. It started drizzling. I am not sure if I can tell what was different about it, but it felt so peaceful. Like the slightest touch of the delicate raindrop sent shivers down the spine. And I just sat there. It felt so serene and peaceful. Dropped a tear or 2 (maybe, maybe not!). Makes you realise that you don’t have to travel far and wide to find the inescapable feeling of oneness. Peace, like tiny ants, can be found anywhere and everywhere. In the darkest of forest to the brightest of beach to the dimmest of the room you sleep in everyday. Ps. Went back home all wet, got sick for a day or 2, deprived myself of my late night walking privileges for a week. But boy, was it worth the trouble! But yes, you don’t have to go far to find peace! Getting sick isn’t fun though…usually. They were tears of joy! Ain’t nobody too masculine to be happy. And getting sick is only fun when I get to escape a possible social gathering or pass on my flu to someone I don’t like. Because evilness. Haha! Perhaps you should include “passing on my flu to someone I don’t like” in your How to be Evil 101 guide, if ever you make one.